By: Mann, Vivian B. and Richard I. Cohen, Ed. SOFTCOVER. Cover is heavy paper. Pages are clean and tight; this is a NEW book. 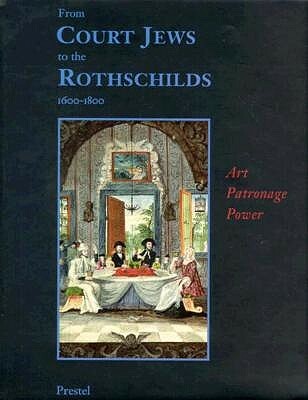 Published in conjunction with the exhibition 'From Court Jews to the Rothschilds: Art, Patronage and Power 1600-1800', at the Jewish Museum of New York 8 September 1996-- 17 January 1997. Essays by various contributors. Illustrated with dozens of color and b/w photographs. Sections are: Court Jews Before the Hofjuden; Court Jews in Economics and Politics; Riches and Dangers: Glcikl has Judah Leib on Court Jews; Case of Alexander David of Braunschweig; Despised Queen of Berlin Jewry, or the Life and Times of Esther Liebmann; Last of the Court Jews--Mayer Amschel Rothschild and His Sons; Melding Worlds: Court Jews and the Arts of the Baroque. Catalogue: Clocks and Instruments; Coins, Medals and Plaques; Documents; Drawings; Manuscripts; Metalwork; Paintings; Porcelain; Printed Books and Graphics; Textiles; Wood, Ivory and Stone; bibliography; Index of Proper Names and Places; Board of Trustees of the Jewish Museum. Fascinating look at a little known aspect of European and Jewish history and the roles that Court Jews in keeping courts, reigns, countries functioning. Oversized, 4#. Multiple copies available. ; Photographs; 9 x 11; 251 pages; NEW. Slight rubbing. Author Name: Mann, Vivian B. and Richard I. Cohen, Ed.